We reserve the right to substitute a gift of similar value. Free gift may be reported on a 1099-INT or 1099-MISC. Free gift provided at the time of account opening. Give it to a friend to bring in when they open a new checking account. Look for the validated form to be mailed to you. 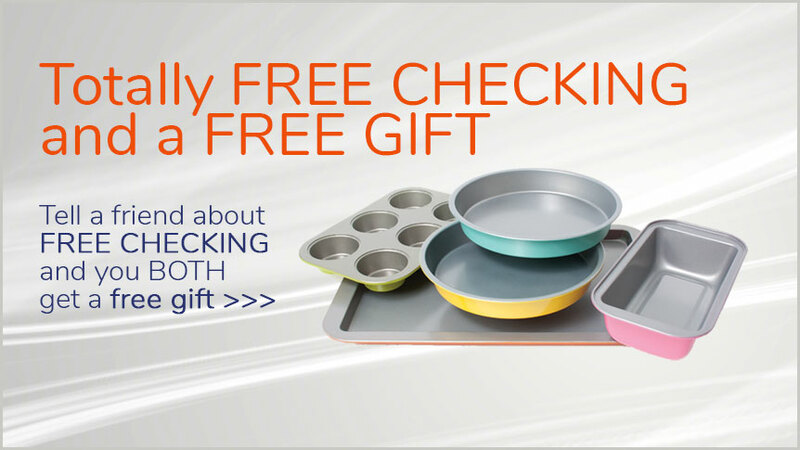 Bring it to us to get your FREE gift!